People who are waiting for the best CompTIA Security+ Certification online course, this is the best article to select the course. Mainly cybersecurity that means how to secure the data and important files from different hackers. Student will develop their security skills and knowledge. By learning Security+ Certification course student will know about networks, devices, different tools and technologies. From this course student will become an professional IT security Technician. 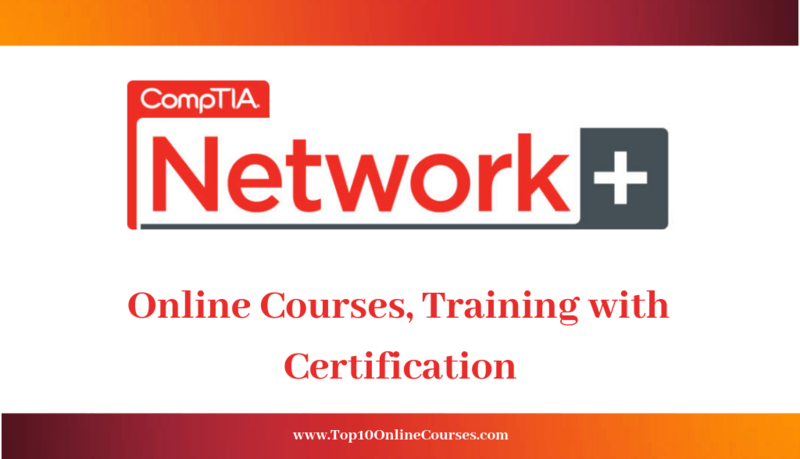 At present there are many online courses on CompTIA security+ Certification, from those our experts of panel selected a few best online courses which are listed below. CompTIA Security+ SY0-501 Certification online course was created by Mike Meyer. He is the Total Seminars co-founder. Mike Meyer and his Total Seminars team instructors will provide you a solid foundation about CompTIA Security+ Certification. This Security+ Certification course will cover everything that what you need for the actual Security+ exam. By this course you will become a professional IT security technician. From this course student will learn about vulnerabilities, risk management, threats, attacks, cryptography and access management. They explained how to manage risk and security controls. You will learn the benefits of using framework and how to use them in security program. You will understand how to handle and protect the data in an organization. They also explained about cryptographic methods and different methods to protect the keys. And they described about decrypting and encrypting the data in a key. You will learn different methods that how to secure your passwords and how to access the files in windows and Linux system. You will understand how to secure the user accounts. They explained about multiple disks to improve the performance reliability and explained about different secure methods to access and save the data in network devices. You will know about different methods to protect firmware, disks and hardware based authentication. You will understand about Malware and how to access the network. And they will explain about local area networks (LAN), proxy servers and their uses. By the completion of course certification will be provided. This course also includes 19 hours demand video and lifetime access. The CompTIA Security+ SY0-501 Certification online course was created by Simplilearn. Instructors in Simplilearn are expertise in teaching CompTIA Security+ Certification. This course will cover the principles of risk management and network security. This course is an important advancement of IT security career. By learning this course you will become an IT security professional developer. From this course students will gain knowledge about devices, secure applications and networks. This course will provide you a solid foundation for your career. By the end of the course certification will be provided to everyone. From this course student will learn different technologies and tools. Instructors will explain the concepts like networking, firewalls, transport layer security, Local area network security and also advanced topics like perimeter security, IDS. You will learn about the principles of security, operational security and risk management. They will also teach about environmental security and PKI management. You will understand the concepts like encryption, message authentication codes and advanced cryptography. You will come to know about different types of hackers such as gray hats, blue hats etc. and you will also understand the different types of viruses. They will teach about mobile security, device management, application design theory, virtualization and cloud security. They provide information about life cycle management. They will explain how to remove malicious software infection. You will learn cyberattacks, advanced wireless security attacks, cross site of scripting-XSS attacks and also provide a security testing tools. They discuss about how to perform patch management and discuss about how to disable services in linux and windows. CompTIA Security+ (SY0-501) Certification online course was created by Jason Dion is a professor in Maryland university college and also founder of Dion Training Solutions and another instructor is Laura Sullivan. From this course you will gain knowledge about different tools and technologies. Student will learn how to secure the data from different hackers. In this course there are six practice tests on CompTIA Security+ Certification that will improve student skills. Instructors will explain each and every concept of CompTIA Security+ Certification. You will also learn about network services. At the final stage of the course certification will be provided and includes full time access. This course included six practice tests, that will develop student’s knowledge on CompTIA Security+ Certification. There are total 420 questions, for each test there are 70 questions including PBQs as CompTIA security+. Every test is conducted same as real CompTIA security+ exam. This practice tests will help student in gaining knowledge. This tests will cover every concept in Security+ SY0-501 Certification. The questions are given from cryptography, risk management, threats, vulnerabilities and so on. Student will gain knowledge about different types of viruses and you will also learn how the Trojan will work. You will learn about different hackers like black hats, white hats, elite and so on. You will also learn about switches, routers, ports and protocols. You will learn about physical security such as types of door locks. And also you will learn about protocol analyzers and their uses in monitoring the anomaly and signatures. CompTIA Security+ Certification training Bootcamp was created by Jason Dion as Dion Training Solutions in Udemy. Jason Dion is a professor in University of Maryland University college. Instructors will teach and focus on every concept of CompTIA security+ Certification. From this course student will learn new tools and technologies. By this CompTIA security+ Certification course you will also learn the fundamentals of computer and cyber security. You will gain the knowledge in management, troubleshooting of wireless and wired networks. By the end course a practice exam is conducted and also certification is provided. This course includes 15 hours of demand video, one practice test and full lifetime access. From this course student will learn six main domains of Security+ (SY0-501) Certification such as cryptography and PKI, architecture and design, and so on. You will learn new technologies and tools. You will also know about the vulnerabilities, attacks and threats. You will understand about the computer security, components and functions. By this course student will become a good security technician. This course will explain different types of hackers such as elite, blue hats, gray hats etc. In this course they also explained about malicious software. From this you will know about different types viruses and explained how the Trojans will work. They also discussed about mobile device securities and also web browsing securities. They explained how to develop the secured software. You will learn about network designs like routers, switches. And they explained how to secure the networks by using VLANs. You come to know about the devices like modems, PBX equipment and VoIP. And you will also know how the spoofing attacks are done. 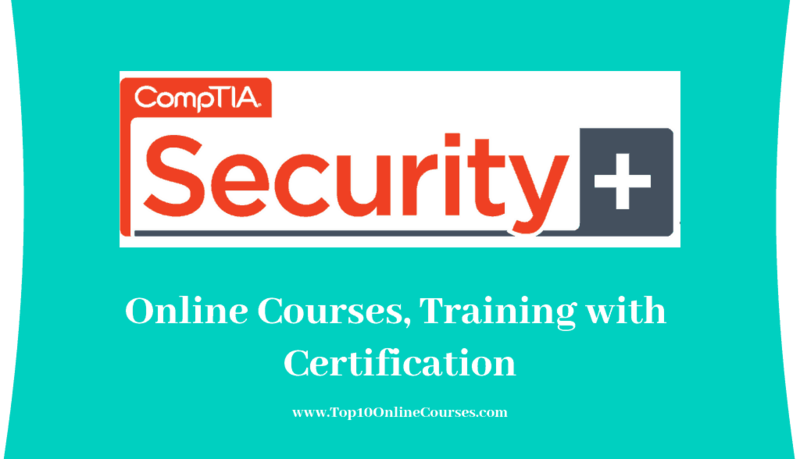 CompTIA Security+ Certification online course was created by Total Seminars – Home of Mike Meyers and his team of Instructors. Mike Meyer is a co-founder and president of Total Seminars. He also provided a network repair seminars, books and videos throughout the world. From this course student will gain the skills of CompTIA Security+ Certification by attempting the practice tests. In this course three practice tests exams will be conducted from this student will improve their knowledge. This course includes three practice tests and full lifetime access. By the end of the course they will provide certification to every student. From this course student will learn the concepts like PKI and Cryptography. You will also learn about design and architecture of security+ SY0-501 Certification. You can learn about different tools and technologies. You will also learn about risk management, Identity management and Access management. Student will gain the knowledge about the different concepts like vulnerabilities, threats and attacks. From this practice tests course, student can answer any question in the actual CompTIA exams. You will gain the knowledge about CompTIA security+ Certification by this practice tests. In the practice tests they included different questions from Security+ SY0-501 Certification exams. The questions what they designed in this three practice tests, which exactly gives you a feel of real CompTIA Security+ exam. In this practice tests, they covered every concept of CompTIA security+ Certification. By this practice tests student will improve their confidence level. They designed total 267 questions and this questions are divided as three practice tests, each test is having 89 questions. CompTIA security+ SY0-501 Certification course is the best and easy. If you are interested in doing this CompTIA security+ Certification course select the best course from the above listed courses. Security+ Certification is the most popular thing in the job world. You will come to know different concepts of Security+ Certification course that how to secure the data and files from hackers. By the end of course certification will be provided to everyone. You can add about this certification in your resume which will improve your career opportunities. If you are inspired with this article, then share this article with your friends and also in linkedIn, whats app, facebook.